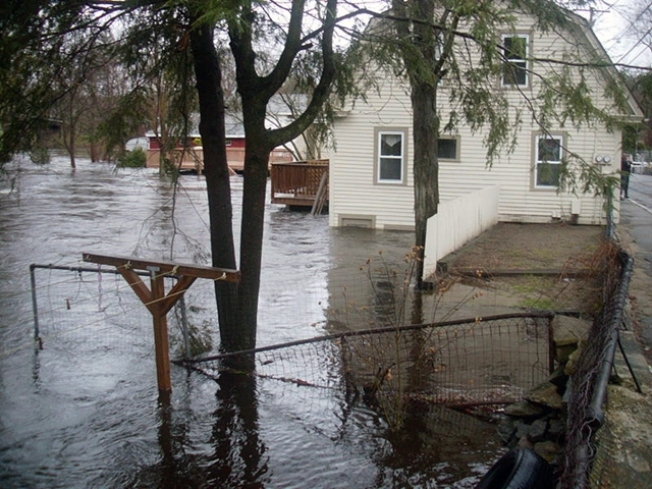 Help is here for flooding victims in Jewett City and Griswold -- but they need to take advantage of the help sooner than later. On Monday, residents who need assistance can file a claim with FEMA. Residents should go to Griswold Town Hall to file the necessary paperwork -- and here is the important catch -- Monday is the only day to do it. At the Griswold Volunteer Fire Department -- free cleanup kits including mops, cleaners and solvent are being given out. The floods left behind a huge mess -- destroying homes, businesses and livelihoods. Several people, who were not able to move back to their homes, are still living in the American Red Cross shelter. "I don't have flood insurance," said Laurie Beck. "My boyfriend's a self-employed carpenter. He lost his tools in the basement." Her lips quivered as she tried to answer the question of what she does now -- and her voice wavered. "I don't know," Beck said. "I need help." Beck went on to describe how frightening the floods were. "My boyfriend said why are you calling 911? It's not an emergency. I said yes it is. The whole river is in my yard, " said Beck. Brian Pierce is Beck's boyfriend. His basement is full of water and he already has one pump going. "Just need to get it pumped out, lights turned back on, and get the hot water heater going, just start over like everybody. Just - it's part of life, " said Pierce. Next door, Pat Drobiak lost her freezer and a lot of furniture contaminated in the floods. "And we stood up on the top of the pool and could see the water - it was like looking down at the ocean," said Drobiak. One of the volunteers helping flood victims on Friday has seen this kind of thing before. The Red Cross is distributing the cleanup kits at several points, and the Griswold firehouse is one spot. The giveaway runs until 6:00 p.m. Friday. More kits will be distributed on Saturday from 8 am to noon. For more information on the handout of these cleanup kits, click here. Once again, Monday is the day to file claims with FEMA. Residents can fill out the forms at the first selectman's office in the Griswold Town Hall.